With Projectmates construction scheduling tools, you have access to every milestone, every contingency, every contractor, and every meeting under your purview. Create timelines in minutes while setting up tasks, targets, deadlines, and reminders. Then, team members can access their schedules from anywhere they use Projectmates online construction management software, so accountability and reminders are just a click away. Although the engineering and construction industry has made great strides in managing risk, 77 percent of respondents report underperforming projects due primarily to delays, poor estimating and failed processes. Projectmates construction project scheduling software provides the solution to minimize delays, optimize task delegation, and maximize project efficiency. Project managers can create different schedules for the different aspects of their projects, such as a design and construction. Why limit yourself to a single, massive schedule that is cumbersome to work with? 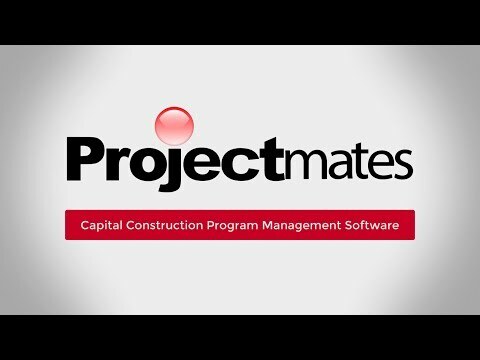 Projectmates scheduling software for construction allows you to configure projects with as many schedules as necessary. General contractors can upload their own schedules to manage under your supervision, while project managers manage a separate milestone schedule. Schedules can even be kept private when they are under development, wherein access is only given to the team when the project manager is ready. Project managers easily control project schedules by determining which team members have the rights to view, change, or delete information. Project managers establish either one-time or recurring tasks for their team members. As the schedule changes, tasks automatically adjust themselves. Individual team members can easily track the tasks for which they are responsible by checking their "My Tasks" list. Program reports display schedule milestones across all projects, red flagging overdue tasks so executives can focus on problem projects. View planned versus actual dates and tasks by day, week, month, or year with this attractive Gantt chart.